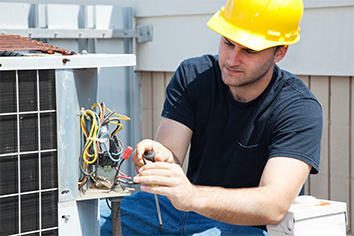 Is it time to replace that old, outdated heating unit in your Carlisle, PA, or Chambersburg, PA-area home? Do you live in a rural area where you don’t have access to a natural gas line? 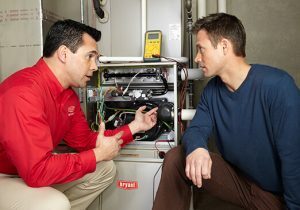 Do you have separate heating and air conditioning units and don’t wish to make the transition to a combined HVAC system? Are you looking for a reliable option for secondary (or “emergency”) heating when the nights get so frigid that your heat pump can’t quite keep up? These are all examples of when an oil furnace may be the ideal solution for your home. While you might think of oil as an “old school” option for furnaces, the technology has come a long way in recent years — today’s oil furnaces are more efficient and reliable than ever. If you currently own or have used an oil furnace in the past, you may be pleasantly surprised at the level of modernization that’s now available with this traditional fuel source. Tuckey Mechanical Services, a member of the Tuckey family of companies that has been serving the region since 1968, is your source for a hard-working, dependable oil furnace that will keep your home warm and comfortable during those long South Central PA winters. While we service all major brands of oil furnaces on the market today, we are proud to recommend new oil furnaces by Bryant, a leading provider of top-quality home comfort systems for more than a century. We feature an assortment of Bryant models that deliver maximum precision to achieve the ideal temperature for your home. Quiet operation: A variable-speed blower motor is designed to operate quietly and efficiently — a welcome change if you’re currently living with a noisy heating unit. The specially designed silencer baffler minimizes combustion noise. Durability: The aluminized secondary heat exchanger features tightly welded seams to maximize the unit’s longevity and dependability. Efficiency: The stainless steel combustion chamber also serves as the primary heat exchanger, enabling a more efficient transfer of heat. Reliability: Innovative ignition controls ensure a reliable starting of the heating and combustion process. We can assist you in selecting the right Bryant oil furnace model for your needs and budget. We’ll also perform a fast, efficient installation. Being without heat in the middle of winter is an uncomfortable and potentially dangerous situation. Tuckey Mechanical Services is available to provide prompt oil furnace repair service, including 24/7 emergency service. We service all major brands of oil furnaces. Just give us a call, and we’ll be there as quickly as possible. Discover how an oil furnace from Tuckey Mechanical Services can be the ideal heating solution for your Carlisle, PA, or Chambersburg, PA-area home. Contact us for more information and a free estimate today. "Jim H. and Eric H. were very thorough in their work replacing our furnace in the basement. Jim was helpful in explaining their progress of dismantling the old furnace and installing the new one. He was also extremely considerate of my toddler's safety, as the door to the basement needed to be used frequently. Eric took time to show me how to operate the new thermostat and how to replace the filter. He also explained the other important features of the new furnace. They left our basement cleaner than they found it! They were excellent representatives for Tuckey. I would highly recommend this company"